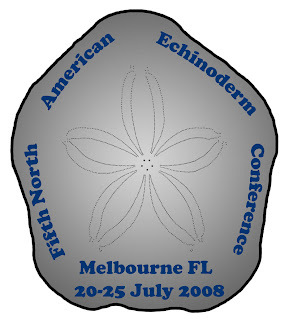 The Echinoblog: Echinoderm Meetings Galore! NAEC, IEC! VIP-LOL! FIRST! Excitement in Melbourne, FL at the NAEC!! What: The NAEC is intended primarily for colleagues in Canada, the Caribbean region, Central America, Mexico, and the United States of America. It serves this geographic region between meetings of the International Echinoderm Conference, last held in August 2006 at University of New Hampshire. Small meetings like this one is a great intimate setting for meeting the North American echinoderm scientific community. Especially for students. And in spite of the "North American" part of the name, past NAEC have entertained visitors from MANY continents! Link here to see the site. 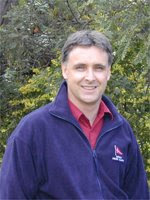 In 2009 this Conference will be held at the University of Tasmania in Hobart, Tasmania (yes that's in Australia)-hosted by Craig Johnson. Although deadlines remain months away..remember that January is a popular tourist time for that part of the world. Rumor has it that flights are already filling up! So, go get your reservation right now!! Now, that is more echinoderm fun than you can shake a stick at. P.S. to Craig-you need a catchy graphic for your conference! !